Tiles or Studs: District 9 Vignette "Eviction Notice"
LEGO fan and flickr.com user Grantmasters, who is the builder of the nice predetor figure we recently blogged, built this outstanding MOC depicting a scene from the movie District 9 (2009). 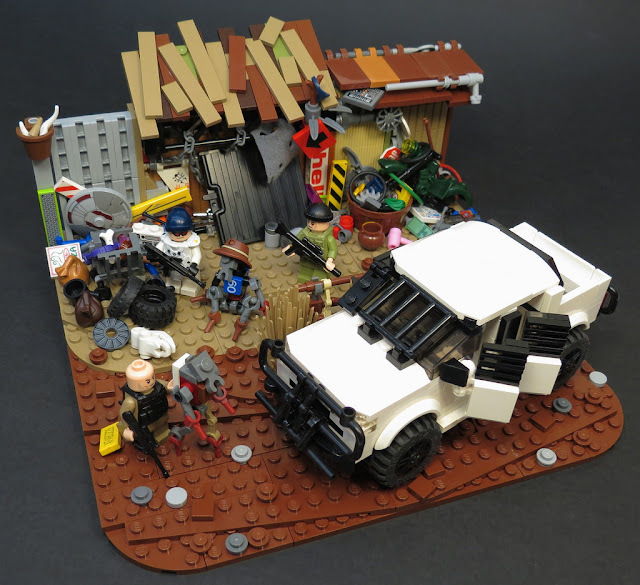 He used tons of small parts like printed pieces, utensils, tires etc to create the accurate look of the district 9 environment and I especially like how the alien figures are built with modified plates and minifigure hand pieces. The white colored vehicle tself with window bars is also great and movie-accurate as well .